Are the bathroom tiles new additions from a previous version? I purchased this at RPGMakerWeb.com and it doesn't have the toilet, sink or bathtub shown in the 4th screenshot from the top. is it allowed to change or edit some tiles of your sets in my project? Is there a lazy tileset file for this pack like with the slasher forest one? I just downloaded this but cant find a lazy tileset file? Could you make a platformer version of it? i bought this on steam but i dont think i got everything thats shown here? regardless, i used your packs in my game! Hi was wondering if you plan on making curved roof tiles, like the Rpg maker RTP packs?. Would really like some for my exterior houses. Thanks. Love all your packs they are awesome. In which package is the woman of winter city screennshot with the cap? Hi, I would also like to ask, I've bought mine in RPG Maker humble bundle, included is Horror City Tile pack. I'm hoping to use it in my comics somehow and wanna ask for consent, and then later on make a game version of my comics/webcomics. Will it be okay to do so? Or is it also not allowed? Anyway to get the old POPit font? Had it once, but seem to have lost it somehow. Thanks! I'm using your Horror City packs, and I want to know. 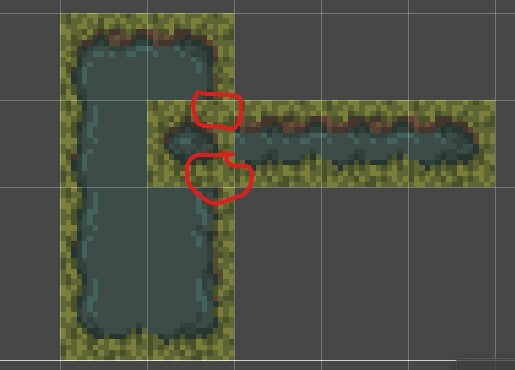 Can I change (redraw) some objects on tilesets or draw new ones in your style in my game? Edits for personal use are absolutely fine, even in commercial projects! The only limitation is on sharing those edits with others, which is against the terms of the license :) Hope that helps! Thanks very much. My game has a low color count and my palette's colors are de-saturated and faded. Is it OK with you that I recolor/edit the assets to match only my game's color palette? I've read your extensive terms and conditions in an old forum thread that you wrote before and I am very clear with how you want the tiles to be handled by the user, and I really want to make super-duper sure I do right with you! Unfortunately not, due to circumstances out of my control, all Steam and RPG Maker purchased versions of my packs are limited to use in RPG Maker Engines. Really sorry. I'm considering getting this pack + the two character ones you've released but just had a quick question: what are the original sizes these sprites are drawn at? I know they can be upsized to MV standards, but I'm going to need to do a fair bit of editing and wanted to know what dimensions I'd need to work in. Do the character sprites come in 32x32 versions? 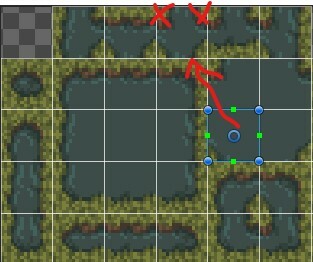 Hi, I'm new here and my question is certainly stupid but is it easy to use your work with RPGmaker XP or will I have to cut the different parts ? Thanks a lot for your job and keep going ! Hey there! I'll be honest, I haven't actually used RPG Maker XP in a very, very long time and I can't remember what the formatting is... I imagine there may be a lot of editing required. Not of the sprites or tiles themselves, but just copy/pasting things into the correct format size. So, I know it's not much of an answer but your mileage will vary. If you've converted VX Ace tiles and characters into XP before, it should be a pretty simple process, but if not it could be tricky. I just picked up your packs, I love the way they look it fits my project great. Hi, I just purchased all the packs for horror city, but they all are in sprite sheets, could I please have them on separate images? Hey there, first off thank you for picking up the packs. I’m not sure if you’re referring to just the characters or the tiles too but in the Horror City base-pack alone there are roughly 3,800 individual tiles, not including all the multiple variations of the 9-slice autotiles. That’s just the base pack. If you were to add in the additional sets that number would probably increase by another 1,000 at least. Slasher Forest is another 5,000 or so I believe. I’d love to be able to offer formatting that works easily for every single engine, however the process of cropping and saving down that many tiles with the correct names and descriptive folders would take months of work that I just don’t have the time to do if I want to actually make graphics. Sorry if the layout of the tilesets is confusing, I’ve tried my best to make everything as readable as possible and group things together in a logical way. Hello! Just purchased the pack and I love it. You did such an amazing job. I was wondering, which pack has the shop signs. Such as guns, coca cola, asian lettering? Thanks! Is it true that none of these packs have battlers usable with RPG Maker? Just bought the whole lot. Hard to find quality resources for RPG Maker MV. Excellent work. Hello! I love your work!! I am having trouble using these in gamemaker studio 2 as i do not know what order to use them in to auto tile maybe you can help me?? Hello! The set over on RMWEB doesn't have those snow and christmas decors. Is there a chance for you to release an MV version of this tileset including the snow and christmas decors? Great pack, thumbs up from me and I keep my fingers crossed to see this series growing. Btw. thanks for updating this pack, that was a very nice surprise after I bought this for the extended license. CHEERS! how to scale for rpg maker mv? Does this contain all the same stuff as the steam rpgmaker version, or is there more? Is this just the same thing but with a general license? Are there more stuff in this than on the one on steam? Hello, i b ought on www.rpgmakerweb.com long time ago. Now i have to buy it again to use it in game maker studio??? or i can take the old one? Hey Leonardo. The short answer is, yes you would need to purchase a new license to use these assets in Game Maker Studio. The reason for this, and the longer answer, is that as standard all resource packs sold on rpgmaker.web only come with a license that allows use within RPG Maker engines. This isn't a policy I have chosen, but rather the way that selling content on that site works. They sell a specific game creation engine and as such, do not as standard endorse, support or offer licenses for any other engine, such as Game Maker Studio, Construct, Unity etc. The fact that the license you bought is only for RPG Maker engines should have been clearly posted on the page where you made your purchase and is definitely written up in the included EULA and license files provided with the asset pack. I'm really sorry for any inconvenience.